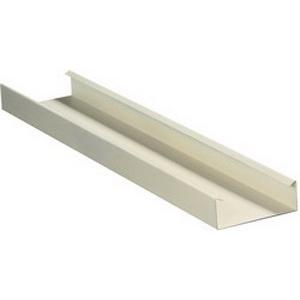 Hubbell-Wiring Metallic raceway base features steel construction and gray powder-coated finish. It measures 1.62-Inch x 4.76-Inch x 10 ft. It withstands temperature rating of 50 deg C. Large cross sectional area offers for maximum cable capacity throughout entire system. This raceway base has V-0 per UL94 flammability rating to withstand harsh environmental conditions. Raceway base is UL listed, CSA certified and meets ANSI/TIA standards.